Before we examine our little blue planet, I feel it is necessary to investigate The Beginning of "The Universe." But before we can begin at The Beginning :-) we should first define our concept, interpretation and understanding of, "The Universe." Q: What is "The Universe?" Q: What is "Outer Space?" A1: An empty void of nothingness where everything physical (Matter) exists? Actually, outer space is not completely empty (as in a perfect vacuum) but contains low density particles such as hydrogen plasma and electromagnetic radiation. A3: The "Space" or "Container" that contains all that physically exists; the entirety of space and time, all forms of MATTER, ENERGY and MOMENTUM, and the physical laws and constants that govern them. This includes the "space" between galaxies, stars, celestial matter, etc. 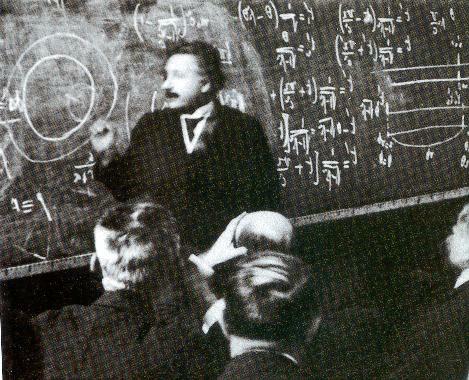 Albert Einstein believed — as well as many (most?) people today — that the Universe was infinite, eternal and everlasting, that it had always existed. Well, we now know this belief to be incorrect. 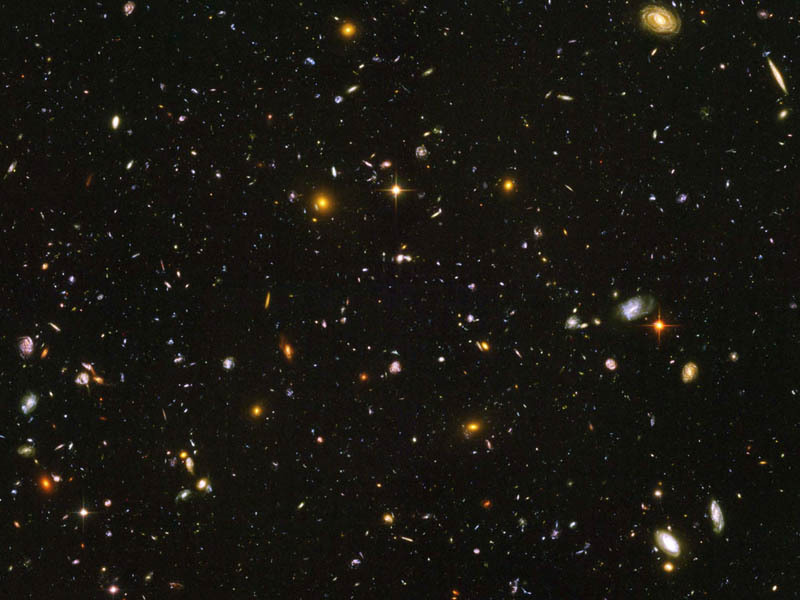 Thanks to modern astronomy and the wonderous Hubble Telescope, we now have physical evidence that proves the Universe had a beginning, and a beginning suggest a dynamic FINITE Universe, and with it, strong religious overtones. Science has now told us the TRUTH: The Universe is in fact, FINITE, with a beginning, a middle (present) and a future! But if "The Universe" is a FINITE Universe, then ... ... Einstein was wrong. Does the term, "The Universe" belong in the breath as the term, "Outer Space?" Based on scientific astronomical data and some (ancient?) esoteric information I have read, I will try to explain why (and how?) ... In the Beginning, "Outer Space and "The Universe" may have been two separate worlds — two separate worlds that are now sharing the same worldly universe together, as a result of ... The Beginning. If "The Universe" had a beginning, then something had to exist before its beginning. What existed before The Universe? Can it be that...in The Beginning, "Outer Space" was A Different World with A Different History and A Different Beginning from "The Universe" we know today?? ?